A large window (approx. 1.5m x 1.5m) under the eaves of the house. The striking design allows light to pass from the landing into a bedroom and the window looks good in both natural and artificial light. 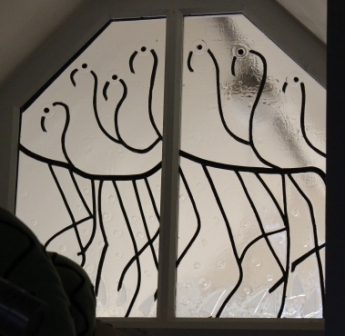 The window uses leaded float glass, slumped and sandblasted to create details.